In our previous blogs we’ve talked about our professional paintball team, what it takes to play paintball, the equipment use, and some of the variants of the game. While we usually play games of 7-on-7, that doesn’t mean we don’t head out and try other forms of the game just for fun. Variation is certainly one of the most appealing aspects of the game. 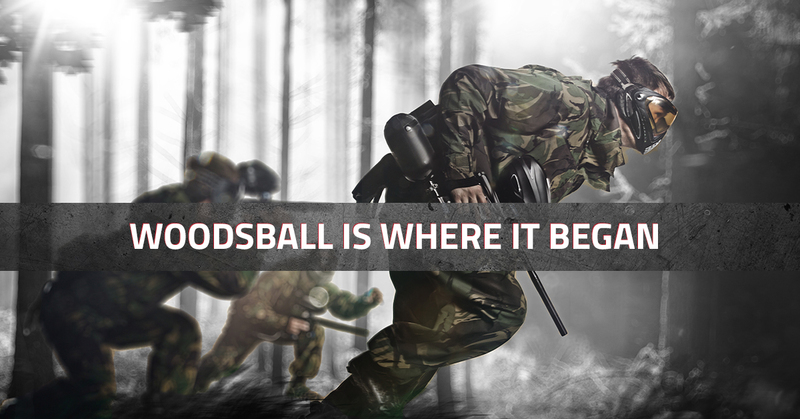 One of the most popular variations of paintball is called woodsball. It has many names, including bushball, hillball, and, least imaginatively, woods paintball. From the name you can probably get a good idea of where these games are played. Let’s take a look at woodsball and the ways it’s different from traditional spectator sports in Houston. A few months back we told you about the history of paintball. In that article we mentioned how paintball guns went from being tools for ranchers and forestry officials to a piece of sports equipment. In fact, the first game of paintball was a capture the flag game of woodsball. The game was played in Henniker, New Hampshire with Net-spot 007 single shot pistols in 1981. Woodsball is played on natural terrain. This most often means a forested area, though it could also be parks, grasslands, or any other type of available land. In areas where woodsball is often played, structures can also be erected to signify bases. Because each patch of land is different, the gameplay will most likely be very different from your average game of speedball. If the teams are far enough away to be hidden from each other, it could take 10 minutes after each team spreads out before opposing players see each other. Woodsball allows for many of the same variations as you might see on a traditional, flat field. Scenario paintball allows teams to re-enact historical battles from wars. “Attack and Defend,” sometimes called base defense, allows one team to be fortified while the other finds the best way to attack. There are also the typical total elimination and capture the flag scenarios. The Obstacles — In tournament play, every inflatable obstacle is large enough to hide behind. In a typical woodsball area, most of the obstacles will be thin and vertical — also known as trees! Not every tree can protect you, but there are many more to provide some protection. There are also hills and ravines in a typical wooded area to provide cover. Sound — No matter what time of year you walk through the woods, there’s always going to be dead leaves crackling underfoot. When you compare this to the turf of a professional paintball game, it becomes harder to sneak up on someone. Weather — Most pro paintball games are played in relatively mild conditions. But when it comes to woodsball, no one is going to delay the game because of a little drizzle! Fog can be a factor, as can wind that can alter the flight of a paintball. Extreme temperatures can also affect how the CO2 propellent works. It’s all part of the game! Equipment — Woodsball uses the same basic equipment of traditional paintball, including markers (paintball guns), paintballs, and masks. Woodsball also allows camouflage and ghillie suit, two pieces of clothing that certainly wouldn’t do much good up against the bright-colored inflatables found in a professional game. If you’re interested in watching a woodsball match, check out the Ultimate Woodsball League right here. How does woodsball sound to you? Does it sounds like more fun to play, or would you rather play speedball like the Houston Heat? Either way, you’re in for a blast!